It’s unfortunate indeed, but the spammers and malicious programmers out there have found a way to get a foothold into the popular world of web 2.0 – Facebook, Twitter, and even Google’s search results. 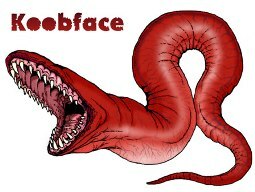 One of these nasty little critters is called “Koobface”, Koobface, a worm that spreads on Facebook, Twitter and other Web 2.0 sites and turns infected systems into bots that can be used for a variety of improper and possibly criminal purposes. This Koobface variant also forces infected systems to call out to another domain that drops an expletive in the middle of fire…eye.com (again, please stay away from that domain). No doubt, this a dig at FireEye, a Milpitas, Calif. company that has published a great deal of key research some of the top spam botnets this past year. Regardless of what domain Koobface is feeding off, when you see anything on Facebook referencing Koobface, you need to not click it. One of the ways you can help fight Facebook, and other social media spam and malware is by spreading the word. Click the “Share / Save” button at the top of this post to share with others. Let’s help keep Facebook clean and malware free!